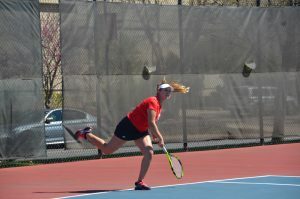 Exuberance is in the air on the Hilltop for the 2011-12 Bradley men’s tennis team as they look to expand on their 14-12 record last season, the most for a Braves team since 1990 and they will also return seven of their top scorers from last season. “We are looking to become the Missouri Valley Conference Champions,” said head coach Jesse Plote. Along with its seven top scorers from last season, the team added freshmen Michael Davis, Ahmed Albitar, and transfer sophomore Gabriel Townes. 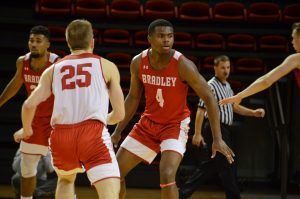 Last season, Bradley went on a six-match winning streak, its longest since the 1994 season, but it looks to make longer winning streaks this year. Among the returners sophomore Hamish Weerasinghe led the Braves with a 21-14 record in doubles, and had 17 wins playing against the other team’s top players. Junior Juan Cuadrado also had 17 wins against opponent’s top competition and sophomore Justin Abrams looks to add to his 26 singles wins, the most in Bradley history for a freshman. Other top returners are junior Eric Nguyen and sophomores Ashton Kalhorn, Kevin Keiner, and Arthur Romanet. For the newcomers, Davis helped his high school team to a top-four state finish in each of his prep seasons, Albitar was one of the top international players, and Townes was one of the best players at Georgia State. Plote also wants to see his players “become more confident” and “physically gain strength” as the season progresses from the fall into next spring. 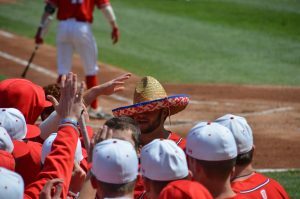 Although Drake, Creighton, and Illinois State have been fixtures at the top of the Missouri Valley Conference standings, the Braves hope to crash that party and compete with the best teams. The men’s tennis team begins individual play in the Bradley Invitational on September 16 at the David Markin Tennis Courts, and will play its first team match against Western Michigan on January 12.